Collins, 1963, Hardback in Dust Wrapper. Condition: Very Good — in Good+ Dust Wrapper. A little rubbing to the edges of the dust wrapper which is a little faded. Text complete, clean and tight. 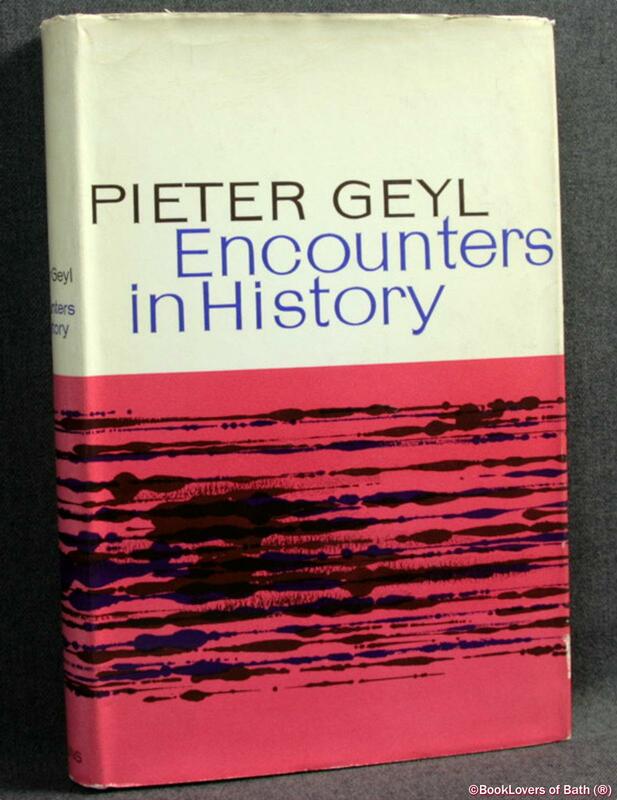 From the cover: “Both as a great historian and a great European, Professor Geyl has never flinched from an encounter. In both capacities he has been the lifelong champion of clear thinking, sound learning and intellectual honesty, ready to take on all comers, however powerful or popular, who threaten or belittle the qualities that nourish and ennoble Western civilisation. It is no coincidence that the man who was sent to Buchenwald for his outspoken opposition to Nazism should be the most formidable living critic of those theories of history, whether Marxist or mystical, which, by their irrational methods or arbitrary premises, deny meaning to the concepts of personal freedom and personal responsibility that sustain the traditions of the West. This original collection of sixteen historical essays displays the rich variety of talents at Professor Geyl’s command: close and illuminating analysis in “Shakespeare as a Historian” and “French Historians For and Against the Revolution”; profound insight into the nature and character of Western history in “The Idea of Liberty in History” and, most relevant to our present preoccupation with the Common Market, “The Historical Background of the Idea of European Unity”. Above all, there is a splendid array of those brilliant, incisive studies of other historians of which the author has shown his mastery in his earlier books, Napoleon For and Against and Debates with Historians. Amongst those considered or reconsidered in this volume are Motley, Huizinga, Barraclough, Butterfield and Toynbee. Size: 8" x 5¼". Blue boards with Gilt titling to the Spine. 448 pages.